Viruses have been the bane of Windows users since before the World Wide Web became popular. If you owned a Mac though, you were generally immune to them. They didn’t targets Macs and still rarely do. But is that changing now that Apple and its products like the iPhone and iPad have become increasingly popular? Most security experts agree that Apple products are still more secure than Windows, not because of any inherit security differences, but because Apple products are still used by a minority of computer users. While more people are buying Apple computers (which includes iPhones and iPads) it is still a drop in the bucket compared to the number of Windows computers out there. Virus and malware writers still go for the most bang for their buck, so they target Windows — at least up until now. Recently a malware attack hit Mac computers. The attack was dubbed Mac Defender. It affected enough Mac users that, for the first time, Apple came out with a update to OS X to specifically remove this malware. Since OS X 10.6, Apple has included an as of yet unnamed malware detection and removal tool. So far it looks like it is only setup to detect Mac Defender and its variants but it could be used in the future to find other malware. Will Apple continue to update this program with new definitions other than those for Mac Defender? No one knows right now. Does this mean that it is time for Mac users to worry about installing antivirus or anti-malware software? Not yet according to most security experts. Security experts agree that since the number of Mac computers compared to Windows computers is still small, virus writers and malware writers still see greater profit from Windows machines. This means the vast majority of viruses and malware will continue to be written for Windows. Macs though, as their numbers increase, will begin to see more and more viruses and malware written specifically for them. Should you install an antivirus program on your Mac? Probably, especially if you work in the medical field. HIPAA regulations imply that all computers have antivirus on them to help secure your system. There are plenty of antivirus suites out there for the Mac, some are even free. Here are some: iAntivirus Free Edition and Avast. Most security experts believe that our phones will become the next place virus and malware writers attack. Malware has already been found in apps on the Android Market hosted by Google. Most blame this on Google’s open Market for Android, which does not screen Apps before they get posted. They say that since Apple screens apps before they get placed in the App Store, that it should not happen on iOS devices. This doesn’t mean that iPhone or iPads are immune to malware though. Cases have been found where iPhones have been infected with viruses, though those have been jailbroken devices that downloaded apps from third party sites. While this should not scare iPhone users, it does prove that these devices are not immune to viruses and malware like so many believe. The reason for this is simple, almost all devices and OS’s have the same weakness, internet browsers. Most virus and malware infections don’t happen because of some mysterious weakness in the OS, they happen because of a combination of security flaws inherent in internet browsers and also as a result of social engineering. The recent Mac Defender malware attacked in this manner. It started with a popup from within an internet browser and used social engineering to get its victims to OK its installation. Since more and more virus and malware attacks are happening like this, and all our devices have internet browsers, we’ll be seeing more and more of these attacks happen on our portable devices. 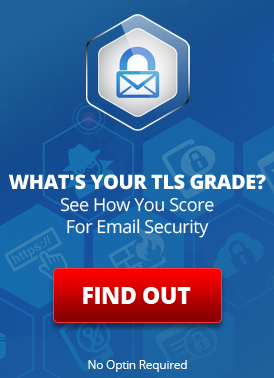 Does secure email make you more vulnerable to spam and viruses? This entry was posted on Tuesday, June 28th, 2011 at 10:47 pm	and is filed under New Feature Announcements. You can skip to the end and leave a response. Pinging is currently not allowed.